Nicknamed the “Big Easy,” and known for its round-the-clock nightlife, vibrant live-music scene, and spicy, exceptional cuisine, New Orleans is nothing less than spectacular. 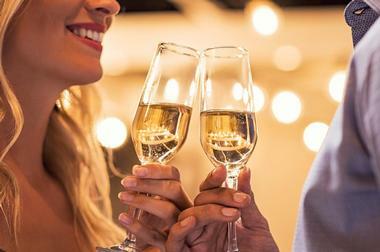 N Here are a few great restaurants to head to for a first date or a big anniversary celebration. Antoine’s Restaurant is the oldest French-Creole fine dining restaurant in New Orleans and has been serving award-winning French-Creole cuisine for more than 176 years. 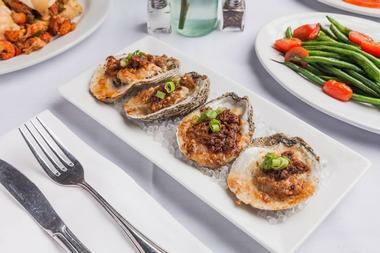 Established in 1840 by Antoine Alciatore, the old-world grand dame of excellent cuisine and New Orleans institution is the birthplace of famous dishes such as Oysters Rockefeller, Pigeonneaux Paradis, Eggs Sardou, and Pompano en Papillote. The restaurant presents a lengthy menu that was initially only in French but is now in available French and English that features classic French-Creole dishes such as Ecrevisses Cardinal - Louisiana Crawfish tails in a special white wine sauce and Chair de Crabes Ravigote - crabmeat served chilled in a creamy créole mayonnaise dressing. Antoine's features a cellar with a 25,000-bottle capacity and 15 dining rooms with their distinct character, charm, and décor, including Mardi Gras krewe memorabilia. Antoine’s Restaurant is open for lunch and dinner, Monday through Saturday, and a Jazz Brunch on Sundays. Capturing the essence of New Orleans like no other establishment, Napoleon House is a 200-year-old landmark that has been owned and operated by the Impastato family since 1914 and takes diners on a journey back in time to a bygone era. Also known as the Mayor Girod House or Nicolas Girod House, The Napoleon House was built in 1794 as a residence for Napoleon Bonaparte after his exile, and later became the home of the mayor of New Orleans, Nicholas Girod. In 1914, the building was transformed into an elegant restaurant and declared to be a National Historic Landmark in 1970. 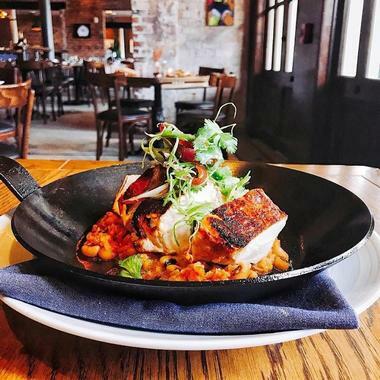 Exuding a quintessential New Orleans atmosphere, the award-winning restaurant serves a menu of traditional Southern fare such as jambalaya, gumbo, and red beans and rice, as well as popular bites such as muffuletta sandwiches. A full service offers an impressive list of libations and signature cocktails, including the Pimm’s Cup, and classical music sets the tone for a fine dining experience. 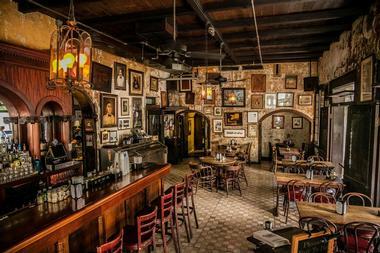 Napoleon House is open for lunch and dinner, Monday through Sunday. Named for the traditional Caribbean and Creole folktales featuring a mischievous rabbit named Compère Lapin, the eponymous restaurant is a sophisticated eatery where Creole meets the Caribbean with a menu that boasts creative takes on New Orleans flavors in the heart of the Warehouse Arts District in New Orleans. 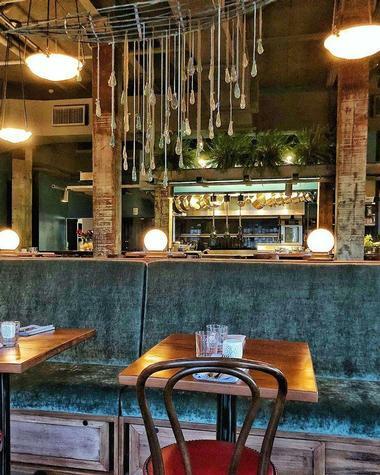 Helmed by Chef Nina Compton is a popular go-to spot for out-of-this-world cuisine among many New Orleanians who flock to the cozy dark wood and exposed brick interiors of the eatery to savor the mouthwatering cuisine. Think warm house-made biscuits, crispy-chewy spiced pigs’ ears with smoked aioli, fried conch croquettes, broiled shrimp in Calabrian chile butter, roasted brussels sprouts served in a buttermilk sauce, a duo of beef served with a shaving of foie gras and curried goat with sweet potato gnocchi. End of with a sweet treat like roasted banana zeppoles with a chocolate hazelnut filling and a rum-caramel dipping sauce. Located in the grand Bourbon Orleans hotel of the New Orleans Hotel Collection, the Bourbon O is a refined, moody bar on the renowned Bourbon Street that serves classic and seasonal cocktails and hosts live entertainment in the evenings. Hailed as the classiest bar on Bourbon Street, the Bourbon O offers a wealth of handcrafted, including a Ramos Gin Fizz, as well as craft beers, fine wines, and other libations. Some of the best New Orleans Jazz performers take to the stage from Wednesday to Sunday evenings, playing traditional tunes as well as some contemporary jazz twists and jams and the stylish bar boasts comfortable, yet sophisticated atmosphere – ideal for a romantic date! 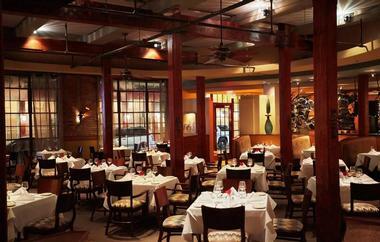 Named after the historic ox-lots of Covington in Louisiana, Oxlot 9 is an upscale southern bistro located on the ground floor of the Southern Hotel on Boston Street. Using a simple yet sophisticated approach to locally sourced and seasonal ingredients, Oxlot 9 serves a menu of creative and innovative fare inspired by the beauty of the people, the gulf coast, and the heritage of the South. 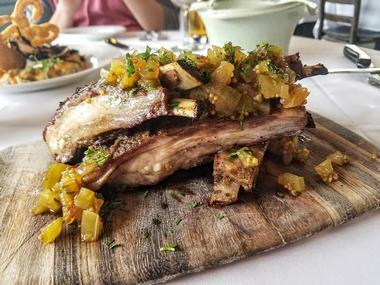 Signature dishes include Smoked Foie Gras Classic Terrine with Pecan Butter, Soft-Shell Crawfish Caprese Salad, Fried Frog Legs in Hot Sauce Butter, and Pan-Fried Stuffed Rabbit with Sweet Potato Hash. 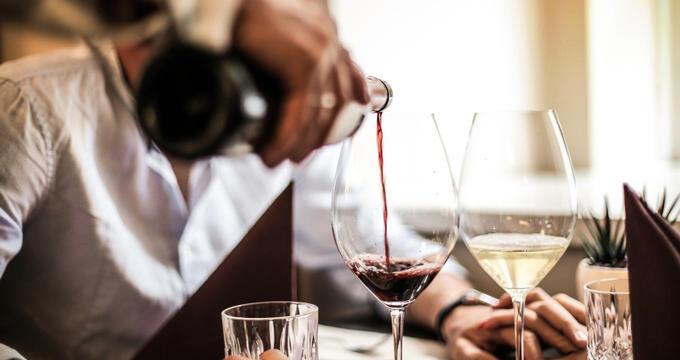 The cuisine is accompanied by a hand-picked selection of fine wines from around the world, artisan and craft beers, and classic handcrafted cocktails, all of which are served in an elegant and refined atmosphere. Oxlot 9 is open for dinner Tuesday through Saturday, and brunch and lunch on Sundays. Effervescence Bubbles & Bites is an elegant champagne bar on the edge of the French Quarter in New Orleans that serves an array of Champagne, cava, prosecco, and sparkling wines along with chef-inspired sharing plates in a polished modern setting. Effervescence offers 18 sparkling wines by the glass, as well as prosecco on tap and a cellar with 90 full bottles of sparkling wine, ranging from $30 bottles to an $800 bottle of Salon "Le Mesnil" blanc de blanc brut from 2004. The bar also serves a range of wines from Austria, Italy, New Zealand, Hungary, and New Mexico for those who don't want bubbles, and all drinks are served by the bottle, by the glass and half glass, in Champagne cocktails and tasting flights. Effervescence Bubbles & Bites also serves a menu of small plates to pair with champagne, including fried chicken thighs, Pommes frites, and caviar with creme fraiche and a mushroom tarlez. Effervescence Bubbles & Bites is open in the evenings from Wednesday through Sunday. Del Fuego Taqueria is a sophisticated taqueria which serves innovative takes on Mexican street food and traditional tequila-based cocktails in a bright and modern space. The narrow family owned and operated Mexican restaurant boasts a cozy front patio on Magazine Street and serves fresh, from-scratch Mexican fare like killer tacos, Entradas, enchiladas, burritos, and quesadillas, as well as over 100 tequilas and mezcals and other libations from the full-service bar. Signature dishes include the seared gulf fish with peppy green mole, and the Sonoran hot dog and guests can dine in the vibrantly colored interior or on the neat patio beneath the stars. Set in a cozy and beautifully restored Victorian cottage in Uptown New Orleans near the Riverbend, Brigtsen’s is a family-owned and operated restaurant that has been serving authentic Creole fare for more than 30 years. Chef Frank Brigtsen uses his New Orleans palate to create and present a menu that boasts a combination of traditional and contemporary flavors blended in true Creole/Acadian style that pay tribute to the traditions of Louisiana cuisine. Signature dishes include shrimp grits, pan-roasted pork chops, broiled Gulf fish, blackened yellowfin tuna, seasoned redfish, and baked oyster LeRuth, and desserts like double chocolate cake, pecan pie, and banana bread pudding. 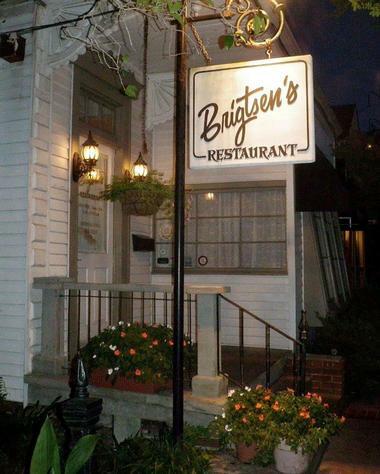 Brigtsen’s Restaurant is open for dinner only from Tuesday through Saturday. 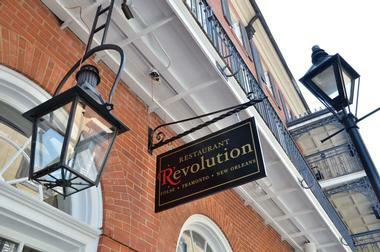 Restaurant R’evolution is a delicious New Orleans restaurant serving as a joint venture between award-winning chefs Rick Tramonto and John Folse, originally opened in the city's French Quarter in 2012 at the spectacular Royal Sonesta Hotel New Orleans. The restaurant serves up classic Creole cuisine with a modern twist at brunch, lunch, and dinner, presented in a whimsical manner with names such as "Death by Gumbo" and "A Tale of Three Fishes." Wild game is served in many dishes, ranging from Wagyu sirloin strip to unique southern meats and seafoods such as alligator, frog, and crawfish. A full tasting menu offers five courses of top chef selections, along with a carefully-selected dessert to pair. Market-fresh seasonal cocktails are also available, along with an extensive fine wine list. Marcello's Wine Market Café is an upscale, romantic establishment that serves traditional Italian and Sicilian cuisine and a globally-inspired selection of wines in a relaxed atmosphere. Using the freshest ingredients that reflect authentic Northern Italian and Sicilian cuisine, the culinary team at Marcello's creates traditional dishes such as Giambotta of stewed summer veggies, tomato, burrata, and grilled bread; Marsala Pork Cheek with parmesan polenta, dry Marsala, and braised pork cheek; and Parmigiana with breaded scaloppini, marinara fresca, and linguine. The menu also offers a selection of fresh seafood and meat dishes, and pasta with house-made sauces, along with fresh salads and sweet desserts. 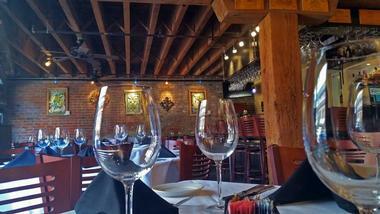 Marcello's Wine Market Café is open for lunch and dinner, Monday through Friday, and dinner only over the weekend. Situated inside a 1880s Garden District building on Magazine Street, Coquette is a trendy, chandelier-hung eatery that serves locally sourced New American cuisine along with a range of New Orleans-inspired cocktails, craft beer, and an extensive selection of wines from around the world. 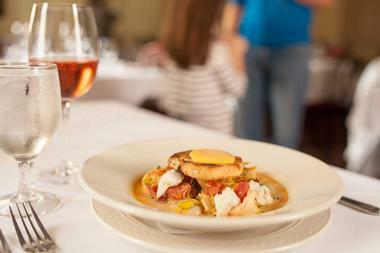 The restaurant serves a daily changing menu of innovative, locally sourced Southern cuisine and farm-driven dishes such as snapper with celery and almonds, gulf seafood stew with Spanish chorizo, boiled peanuts, and okra, and eggplant au Poivre with crabmeat, chanterelle mushrooms, and nectarines. The eatery also serves a selection of small plates and a five-course ‘blind-tasting’ based on the chef's daily ingredients. Coquette is open for dinner, seven days a week, and brunch over the weekend. 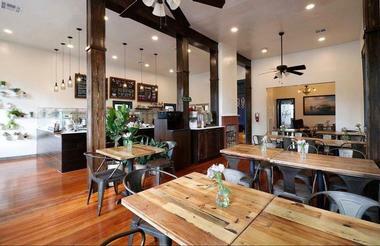 Restaurant Rebirth is a rustic-chic dining destination that presents elevated farm-to-table Cajun-Creole cuisine paired with local craft beer in an elegant environment. Located in the Warehouse District, Restaurant Rebirth is helmed by Louisiana native Ricky Cheramie who creates a menu inspired by the Bayou Lafourche area with plates such as fried catfish, po’ boys, raw oysters, and a ‘fried swamp platter’ comprised of fried crawfish tails, alligator and frog legs. Other signature plates include quail stuffed with foie gras boudin, chicken and mirliton Rochambeau, and Gulf seafood al ajillo, and a late-night menu is served on weekends and boasts popcorn shrimp Creole, yucca frites, and Vietnamese five-spice fish. The restaurant bar serves local craft beers, handcrafted cocktails, and a 40+ bottle wine selection developed by GM Manny Pineda. Restaurant Rebirth is open for Monday through Saturday with a late-night menu available on Thursday, Friday, and Saturday. Bistro Daisy is a quaint family-owned restaurant that serves an array of French-inspired dishes and an enticing wine list in a warm and welcoming setting. Inspired by the rich history of New Orleans, Chef Anton Schulte presents innovative culinary creations such as bouillabaisse of fresh Gulf seafood in saffron and Herbsaint broth, pan roasted and porcini-dusted chicken in a cauliflower and spinach thyme reduction, and seared yellowfin tuna over roasted red onion, with pesto, olives, and oven-dried tomatoes. The restaurant boasts three small dining rooms with high ceilings with a trompe l’oeil painting, wooden floors, a fireplace with a fake fire, and large windows and is open for dinner only, Tuesday through Saturday. 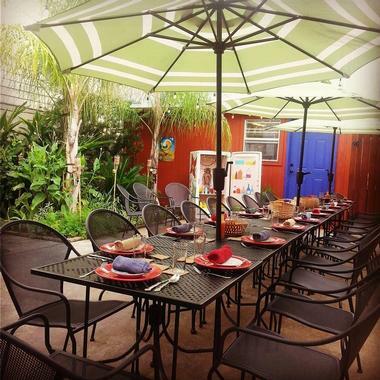 Located on Maple Street near Tulane and Loyola universities, Jamila’s Café is New Orleans' only Tunisian restaurant and serves a menu of authentic and traditional Tunisian cuisine in an intimate, relaxed setting. Inspired by a combination of great civilizations such as Arab, Berber, French, Italian and Spanish, the menu features delectable dishes that blend global flavors and tastes such as Ojja Merguez, a sautéed lamb sausage and spicy sauce mixed with eggs and tajine of lamb cooked in clay with marinated lemon and served with basmati saffron rice. Jamila’s Café hosts a professional belly dancer on Saturday nights and is open for dinner only, Tuesday through Saturday. 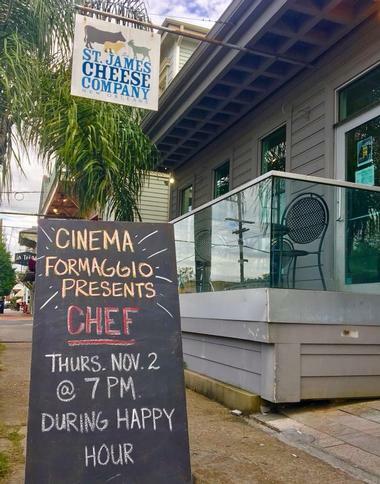 Commander's Palace is an award-winning Haute Creole restaurant in the Garden District of Uptown New Orleans that has long been one of the best-regarded upscale restaurants in the country. Established in 1893, Commander's Palace is owned by the Commander's Family of Restaurants, and the winner of six James Beard Foundation awards, including Best Chef and Outstanding Service Award. 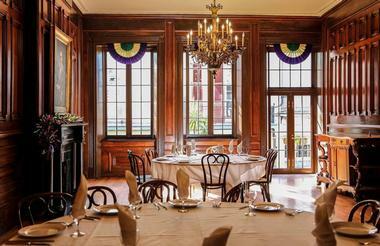 Attracting gourmets from all over the world since 1880, Commander's Palace serves acclaimed Creole cuisine and fine wines served in an elegant chandelier-hung dining room, as well as a sleek jazz brunch on Sundays. Patois is an airy, upscale bistro-style café that serves locally-sourced French classics with Louisiana accents and New American fare in a casual, relaxed environment. Helmed by lauded Chef Aaron Burgau, the cozy neighborhood eatery presents a menu of seasonal cuisine prepared with regional ingredients, such as pecan-crusted sweetbreads, watermelon and pork belly, eggplant parmesan, and gulf fish almondine. Sunday brunch plates range from potato gnocchi and grilled lamb ribs to biscuits and Italian gravy and seasonal gumbo. 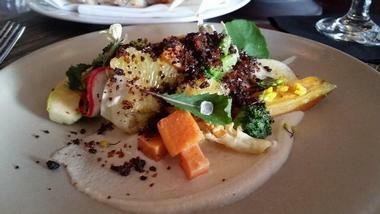 Patois is open for lunch on Fridays, and dinner Wednesday through Saturdays. 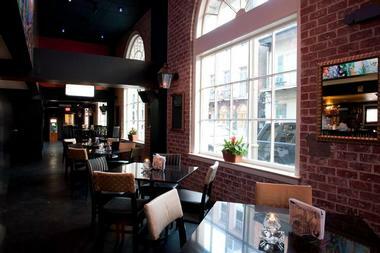 Apolline Restaurant is a contemporary-chic restaurant on Magazine Street that is renowned for its French-Creole contemporary cuisine and modern Louisiana dishes. 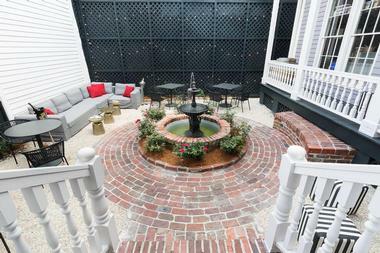 Located in a charming New Orleans cottage with rustic décor and soft lighting, Apolline presents a menu of creative cuisine prepared using locally sourced and regional ingredients. Headed up by Chef Jeffrey Maurer and Restaurant General Manager Frank Phillips, Apolline serves dinner daily, weekend brunch, and happy hour during the week with drink specials and small plates. Signature plates include Seared Diver Scallops and Gulf Shrimp, Pan-Roasted Black Drum Crab and Pea Risotto, Braised Pork Cheek Ragu with poached eggs and gremolata, and Prime NY Strip Steak. Apolline Restaurant is open for brunch and dinner on various days of the week. 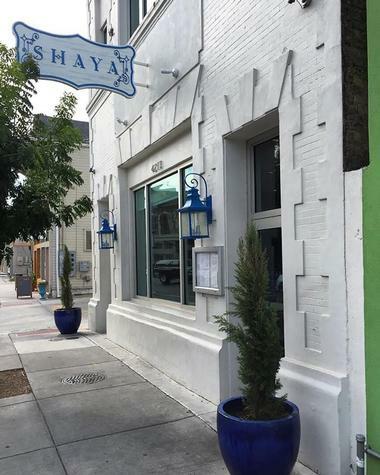 Shaya Restaurant brings an authentic Israeli dining experience to New Orleans owned by John Besh protégé Alon Shaya who presents a menu of bright, colorful food inspired by his birthplace, Israel. Drawing inspiration from North Africa, Eastern Europe, Turkey, Greece, and the Middle East, Shaya blends Southern flavors with Israeli staples to create a contemporary menu that reflects the ongoing evolution of Israeli food. Shaya highlights seasonal, responsibly- and locally-sourced ingredients in delectable dishes such as creamy baba ghanoush, herby tabbouleh, watermelon with Bulgarian feta, labneh, falafel sandwiches, and piquant lamb ragù with crispy chickpeas, as well as wood-fired pita served hot from the pizza oven. Shaya Restaurant is open for lunch and dinner, seven days a week. St James Cheese Company is a tiny, bustling sandwich shop and deli-style market that offers a variety of gourmet cheeses such as bries, blues, goudas, and Gruyères. Owned by passionate cheese-lovers, Danielle and Richard Sutton, the store is one of several locations around town that offers a vast assortment of ripe cheeses, along with charcuterie, gourmet groceries, and ready-made food-to-go like pasta, salads, and sandwiches featuring cheeses. St James Cheese Company also offers cheese education classes, lessons about the styles of various cheeses, and tastings, as well as special events, such as Friday Night Flights, which feature beer and cheese pairings. There is also an online store, through which customers can order gifts and catering trays. Poke-Chan is a fast-casual restaurant that serves traditional Hawaiian poke of raw fish salad bowls and Asian-inspired creations. Owned and operated by four sisters who were born in Vietnam and immigrated to the States, Poke-Chan features a counter where guests can create their custom meals by choosing from bases of rice or greens and choosing toppings like fish or tofu, plus sauces and garnishes. Signature bowls include the Tamarind Scallion and the Classic Hawaiian, and entrées range from the Savory Shroom with fried tofu, fungus, and seasoned bean sprouts to the Karaage bowl of Japanese-style fried chicken and kimchi, and the salmon teriyaki bowl. The restaurant serves a variety of drinks, including beer, wine, and sake as well as Thai milk tea, Vietnamese coffee, and soft drinks. Poke-Chan is open for lunch and dinner Monday through Sunday. 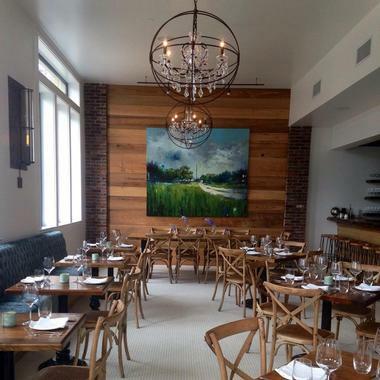 Bywater American Bistro is owned by Chef Nina Compton of Compère Lapin fame and serves a menu of New American cuisine in an elegant, refined atmosphere. Located in the Rice Mill Lofts on Chartres Street, Bywater American Bistro offers a creative menu of innovative cuisine, which include French-inspired charcuterie, house-made pasta, and dishes such as a farro risotto with maitake mushrooms and with pepperonata-crusted yellowfin tuna steak. 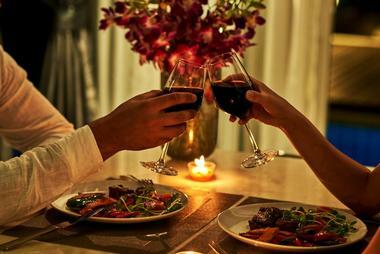 Signature dishes include curried snapper with green apple and nasturtium; hogshead boudin with dijon and frisée, duck breast with figs and scallions, and mustard crusted mahi-mahi with eggplant. 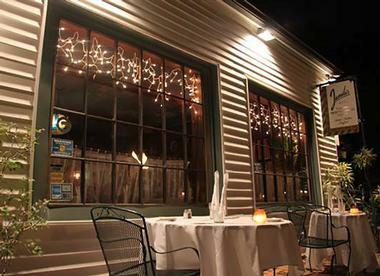 Bywater American Bistro is open for dinner Wednesday through Sunday, and brunch over the weekend. Gin Korean BBQ is a do-it-yourself barbecue restaurant in Metairie’s Fat City that serves traditional Korean food in a relaxed, family-friendly environment. The restaurant features grills at each table for DIY meat preparation and diners are given a selection of banchan or small side dishes, like kimchi, fermented vegetables, rice, and tofu, and a selection of raw meat to cook. Other dishes on the menu include fried pork dumplings served with a bowl of crimson chili oil, spongy seafood pancakes studded with squid, shrimp and green onions, garlicky beef short ribs called galbi, and spicy marinated pork belly known as samgyeopsal. Gin Korean BBQ is open for lunch and dinner Thursday through Sunday. 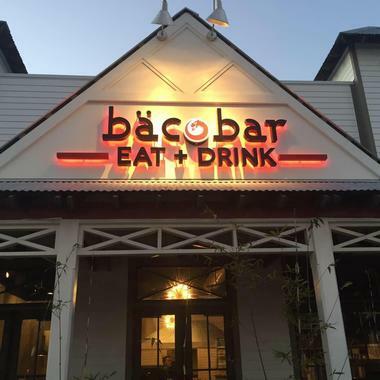 Located in Covington, Bacobar offers a unique dining experience that blends Asian, Latin and Creole flavors and tastes paired with cool libations and impeccable service in a sophisticated-casual atmosphere. Inspired by an array of cultures, including Mexican, Korean, Thai, Vietnamese, Central and South American, Bacobar’s menu is created by Chefs Jean Pierre Guidry and Carl Schaubhut, who have created a contemporary menu of healthy, flavor-packed cuisine. The food is accompanied by a comprehensive bar menu, which features eight local American craft beer taps and craft beers in bottles, along with easy-drinking wines from around the globe, and signature cocktails mixed by the world-renowned bartender, Lu Brow. Bacobar is open for lunch and dinner, Monday through Sunday. GW Fins is one of the country's most heralded fine dining seafood restaurants, serving an ever-evolving menu of fresh seafood, fish, and shellfish in a stylish updated warehouse space. Designed around the concept that freshness is key, G.W. Fins serves only the freshest seafood selected at its seasonal peak, with daily changing menus based on what seafood is available that day. Dishes can range from lobster dumplings, grilled scallops and fish tacos to Chilean sea bass, po-boys, and seafood risotto, and the food menu is accompanied by an extensive list of libations from the full-service bar, including 100 varieties of wine, 70 of which are offered by the glass. G.W. Fins is only open for dinner, and complimentary validated parking is available nearby.